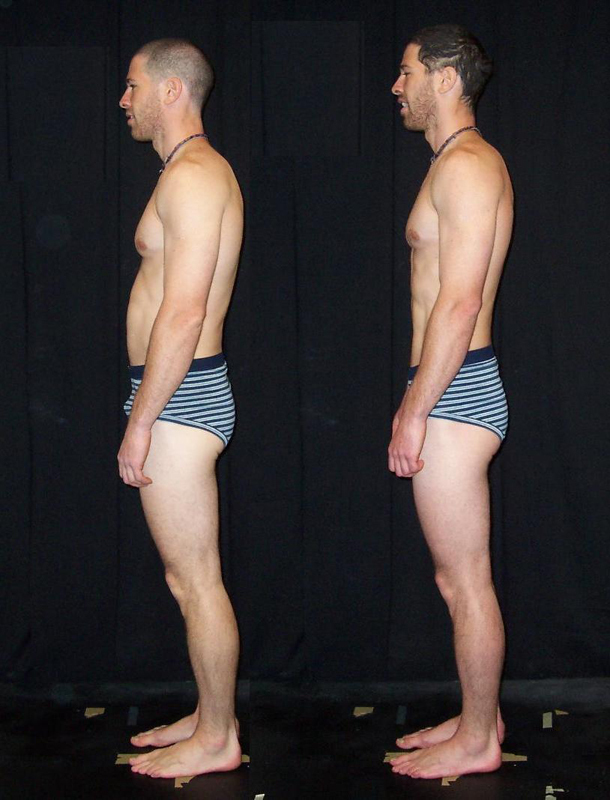 Don’t Let Poor Posture Wreck Your Health or Confidence–Rolfing™ Can Help! Home Don’t Let Poor Posture Wreck Your Health or Confidence–Rolfing™ Can Help! Your posture says a lot about you, and how you carry yourself is one of the first impressions that you project to others. We sometimes downplay the importance of good posture, often thinking that posture critiques come from older relatives with dated ideas. However, your mother’s old adage of “stand up straight” wasn’t just about looking good or feeling confident. Posture problems can have lasting side effects on your body and health, and when you ignore the importance of your posture, you could be setting yourself up for lasting health problems. Why Should I Worry About My Posture? When your posture is poor, it can have a domino effect on your musculoskeletal system. When you have bad posture, you experience the strain of a body that constantly out of alignment, leading to frequent stiffness, aches and pains. Bad posture puts unnecessary strain on your spine, and can pull vertebrae out of alignment. Furthermore, your body cannot function at peak performance when it is constantly compensating for your posture problems, and poor posture is the leading risk factor for injuries, especially for active people. Learning how to fix bad posture is not just about mentally reminding yourself to sit up straight. Chances are that, over time, your muscles and your connective tissue have changed to adapt to your poor posture. Your main goal needs to be shifting your body back into balance. Rolfing® is a system of deep-tissue bodywork that brings the body into a new alignment, leading to better balance, greater flexibility and improved posture. Rolfing works in a series of 10 sessions to release the fibrous and thickened connective tissue that influences alignment of the skeletal structure. When seeking solutions for how to improve posture, Rolfing can be an invaluable step to improving posture and taking control of your health and well-being. If you want to learn how to improve your posture through the practice of Rolfing, Certified Advanced Rolfer Bob Alonzi is here to help. You don’t have to suffer with the uncomfortable side effects of poor posture. To learn more about how Rolfing can help your posture problems, contact our office today for more information.